The controlled delivery of water-soluble substances is one important issue in pharmaceutical and medical applications. Biocompatible polymers which can easily be processed in an all aqueous process with controllable and adjustable properties have been thoroughly investigated in the past for their use as drug delivery vehicles. 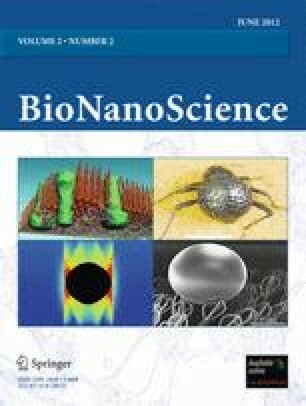 Recently, we established sub-microparticles produced from the engineered spider silk protein eADF4(C16) as potential carriers for highly water-soluble drugs. Here, we investigate the influence of crosslinking on the structural integrity of the sub-microparticles and the effect on drug loading and release. To analyze the order-of-addition influences of processing of sub-microparticles on drug loading and release, we tested five different preparation routes. We showed that the preparation route largely influences the loading capacity of the eADF4(C16) sub-microparticles. In the preferred preparation route, rhodamine B and the protein are co-precipitated by salting-out, yielding the highest loading. Further, crosslinking the proteins with APS (ammonium persulfate) and Rubpy (Tris(2,2′- bipyridyl)dichlororuthenium(II)) has an impact on loading as well as on the release behavior of drug molecules as shown exemplarily with rhodamine B. This work was supported by the Bundesministerium für Bildung und Forschung (BMBF), grant number 13N11340. We gratefully thank Lukas Eisoldt and Andrew Smith for proof reading and Felix Bauer, Lukas Eisoldt, Anja Hagenau, Andrew Smith, Michael Suhre, and Stefanie Wohlrab for critical comments on the manuscript. We would like to thank Nicolas Helfricht for assistance with the zeta potential measurements.